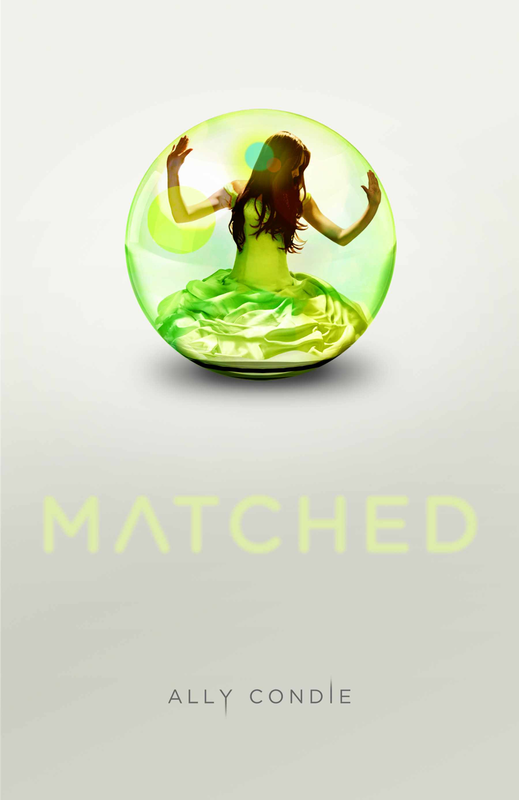 The Broke and the Bookish : Regarding Jana and "Matched"
How I got this book: I bought it. Why I read this book: I’m on quite a dystopia kick right now! Can’t get enough of them! I loved this book! I’m addicted to the entire dystopian genre these days, and this one certainly did not disappoint me. It really made me think. The people of this world live in a time where everything they do is governed and decided by the Officials of the Society. People are matched up with their spouse, their job, their extra-curricular activities, and even the day they will die. All the literature, music, and art have been paired down to the best 100 pieces of each. The Officials have destroyed everything else. The people are not allowed to write. Everything they do is monitored—even their dreams are recorded. They are only allowed to exercise a certain amount. If they go over that time, or do it too vigorously, they are marked as a person with body image issues. They are only allowed to eat a certain amount of food, which is delivered to them three times a day. Pills control their emotions. Their possessions are regulated. What kind of life would that be? What purpose do the humans even serve anymore? If they go against the rules, they are marked and are no longer a respected part of society. They are pulled out of the Matching Pool, no longer allowed to be married, and are given menial jobs that lead to an early death. Choices are against the law. This is the world Cassia lives in, only she’s not happy about it. The Officials messed up. A glitch in the system showed Cassia the corruption behind the decisions these Officials made, and now she’s rebelling—hoping that she can somehow beat the system. Sure, the guy chosen for her might be the most ideal, most compatible, and most practical Match for her, but what about the one she’s fallen in love with? Love doesn’t matter anymore. What if she doesn’t want the job they assigned her? Too bad. She can’t even choose the clothes she wears. The only time she was ever even allowed to wear a color was for her Matching Banquet, where she was assigned a mate while wearing her beautiful green dress (hence the symbolic cover of a girl in a green dress, trapped in a glass ball of dictatorship)—a green dress she chose from a catalog of approved choices. Of course, she could not keep this dress. She was sent a small piece of the dress fabric mounted between two pieces of glass after the Banquet was over. This is the control these Officials have. The people are being drugged to forget things. They are all lost in a world of conformity. They are being brainwashed into thinking this is all ok. Cassia finds a person who remembers the past. He has access to old “destroyed” writings. He knows how to write. He knows the history of humankind, and it’s a whole lot better than what they’re going through now. The more Cassia rebels and learns about the past, the more corruption she notices. She's also falling deeper and deeper in love—with the wrong person. She’s going to do something about it. She’s going to change her destiny. I really loved this book. Many of the passages are extremely poetic, and somewhat lyrical. The descriptions of the scenery make you feel as though you were there. The emotions and feelings are easy to understand. The situations are easy to relate to. The characters are real people. I connected so well to the entire storyline. Cassia is a great heroine. She is not the rule-breaking rebel to the extent of Katniss Everdeen from The Hunger Games, but this IS only book one. We might see more rebellion in the future books. She was weak in the beginning, but learned more as the book went on. She grew a backbone! I liked her character development. I really enjoyed the love triangle, which I think ultimately symbolizes rebellion vs. submission. She was told to do one thing, but really wanted the forbidden. It’s a relatable dilemma on many levels. I enjoyed the relationship she had with each of the two boys in this triangle. One was very sweet and innocent—two childhood friends realizing they’re going to get married and exploring the new feelings the Society says they should be developing. The other one was forbidden but equally, if not more, sweet. They snuck around and tried to stifle the underlying tension of wanting, but not being allowed to have. I love this relationship more than the other. It seems more real to me. There could have been a bit more chemistry between them, but I understand that it had to be very hidden in order to protect both of them. With the rebellion I expect to see in the coming books, I expect to see more chemistry as well. All in all, this was a great book, and I really enjoyed it! I’m eagerly awaiting the second book, Crossed , which comes out in the Fall of this year. So… discussion time! I love a book that makes me think. At the very beginning I enjoyed the idea of being matched with my ideal man. I wouldn’t have to date a bunch of jerks to find him. He’d just be delivered to me, and we wouldn’t have to worry about whether or not it was going to work out. I would have never been dumped, and I wouldn't have had to dump anyone! Wonderful! But… then I thought about the what-ifs. What if I fell in love with the wrong person? What if I did not love the guy I was paired with? Then the what-ifs started spiraling out to encompass everything. Part of the wonderfulness of life is that we CAN choose who we marry, what we do for a job, what we read, what we listen to, what we eat, when we eat, what we wear, etc. I think life would be pointless without decisions. It made me grateful for the life I have. Next time a really crummy date goes down in flames, I’ll remind myself that at least I had the opportunity to choose! Haha. So tell me. What do you think about Cassia’s world? Would you enjoy having your entire life planned out for you, or would you fight back too? 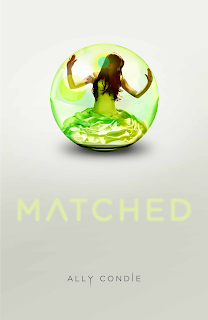 I'm in love with Matched. Such a good story--and it really does get you thinking. Cassia's a great character and I love the struggle that she goes through, deciding between what she has always believed and what she really believes. Can't wait for Crossed! I would definitely fight back. It can be nice to have things planned, but I'm only 22 and my ideas of what I want have dramatically changed over the years. I'm partway through this book and the other two are already on my must-have list. I love the story but I definitely wouldn't want to live in that world. I'm a writer. Couldn't live in a world where people can't write. Nope. Sorry. By the way, I love your reviews. Very in-depth and absolutely love the discussion part at the bottom. Great idea! Involving other people in the review, as well :) happy reading!